Thanks Trevor. so what you're saying is don't worry about all the tweaks and Nvidia Inspector settings from FSX... just use the p3d4 sliders? Any recommendations on AI Traffic? WOAI? My sim is not hooked to the net, accordingly I'd like a good AI program working as a stand alone as WOAI did. Ultimate Traffic Live is the only AI option specifically compatible with P3Dv4. It works OK but is missing cargo aircraft (FedEx and UPS etc.) which has been promised but does not appear to be anywhere near materializing. There is a workaround to add cargo scheduling and third party P3Dv4 compatible cargo aircraft but it is really a bit cumbersome to do. That's Right... Any changes in Nvidia Inspector based on my research (And Others) will work against you in Prepar3D V4.X However test as you may, but make a backup of your configs before you do. Some developers just repackage the software to point to the new V4.0 Directory. This will cause you Pain and suffering down the road. Love the tail logo ! Speaking of my project, or what I’ve done for my simulator today? Well, not really anything, but I’ve started looking into a new computer build, since mine is still a I7 2600K. After reading some of your guys postings on the subject, I might go for a new 4 PC setup; although, it might not be until 2019. Still, the biggest question is, what is the best 4 PC setup to use? Or, what are you using now for a 4 PC setup, assuming you have one. If so, what is your opinion of the setup, as well as are you looking to replace your current setup for an entirely new 4 PC setup? Last question; what is largest known multi PC setup known and being used now? What would a 6 PC setup be like, with one for each monitor (or projector) and one for the server? I’m just wondering what the PC specs need too be in this scenario? I am using Optoma GT1080 Darbees for projection. This beast is running very well right now. I really do not think you will get better P3D display performance doing it any other way. Obviously there is a cost factor for all the hardware, but that is not as bad as it may seem once you have made the initial investment. For example, I typically upgrade my P3D Client display computers every 3 years, "handing down" the older computers for SimA etc. which requires less performance power. So the ongoing investment averages one new "high end" computer per year. Considering all else I have invested in my cockpit this really is not the outrageous part. That said, it is a beast to setup since you have to build 4 separate P3D computers. It is all the add-on sceneries that kills you (I have over 60 airport upgrades). Needless to say I have it all backup cloned if there is a disaster, and thankfully there have been minimal issues in the past recent years on that front. It all boots up mostly automatically except setting up weather etc. I am up and running with a "cold and dark" cockpit in about 6-7 minutes from the time I press the "ON" buttons on the computers. Oh...and one other thing....all that hardware generates a lot of heat. So that is something to consider if you are operating in a confined space. I have a modular cooling unit to deal with that. The interesting thing is that the heat issue is less of an issue now than it was back in the Pentium chip days. The micro electronics architecture has steadily become more heat efficient even though performance power has increased significantly. Christmas present for myself: just installed Zotac 1080Ti AMP! edition instead of MSI 980Ti. 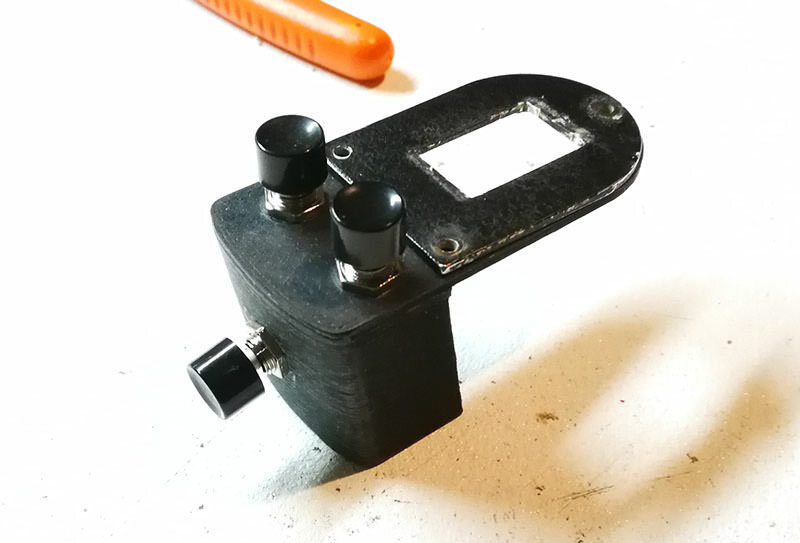 This weekend I have made the hardware and electronics of the Stec-30 autopilot V2.0 (the release candidate ) for my A2A comanche home cockpit. The main switch has a buzzer (for "beep" "beep" changing mode). 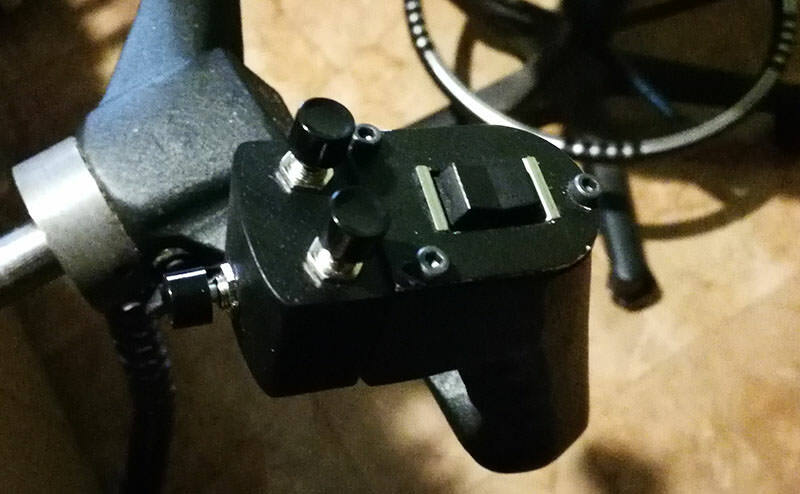 The push buttons will be in the yoke (AP desconnect and ALT hold). Now de led indicators are all dimmable, to fly night or day. 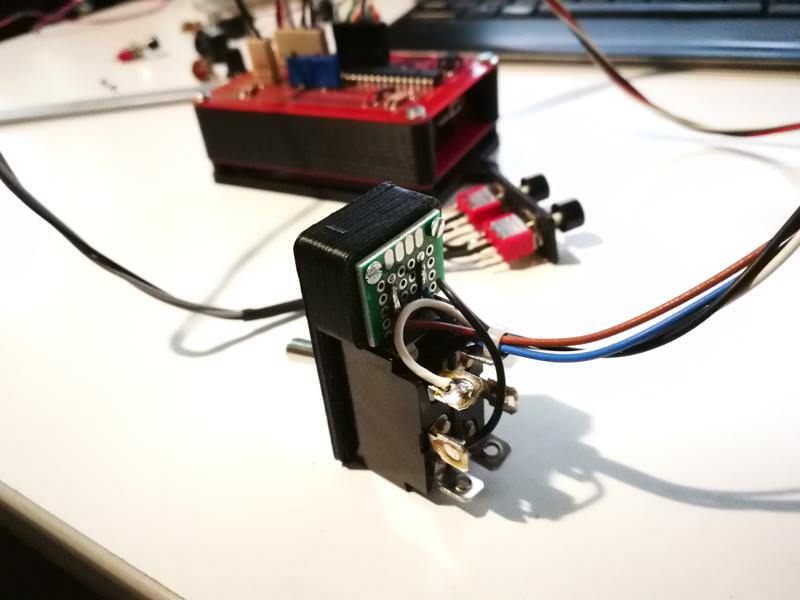 It was very dificult to find a potentiometer with a push button for mode change (I only find two in the world, I bought them, and the feeling was really bad). So I have made one that works perfect! with a pot and a push button, with the help of my dear 3d printer. I will post a video with this second version showing all the functions. 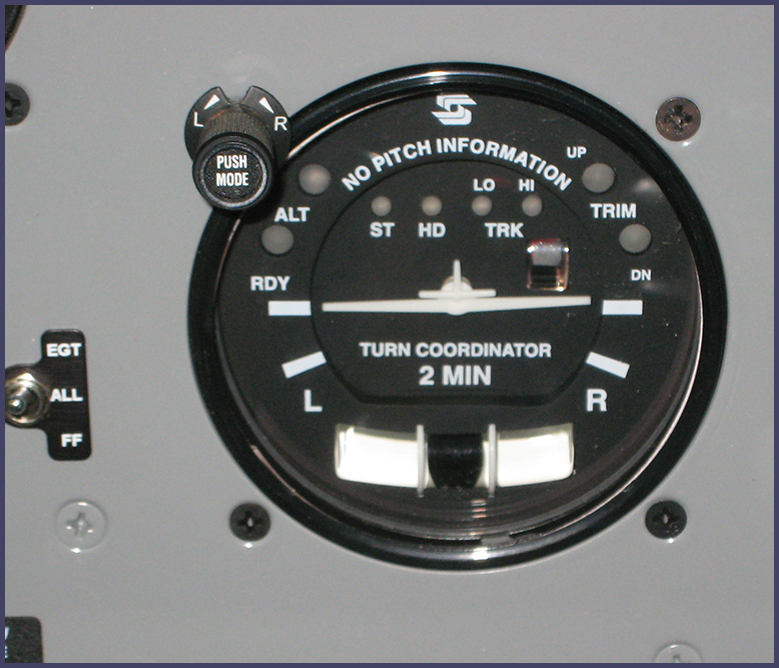 The original gauge is a turn coordinator from an old AST300 simulator. 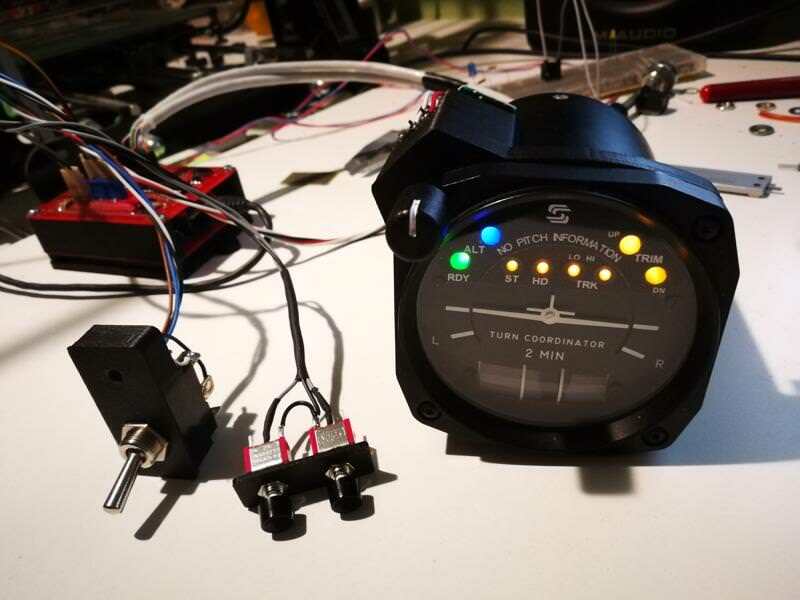 It was only a turn coordinator instrument, that was made with a real turn coordinator gauge replacing the ball system with a big galvanometer. 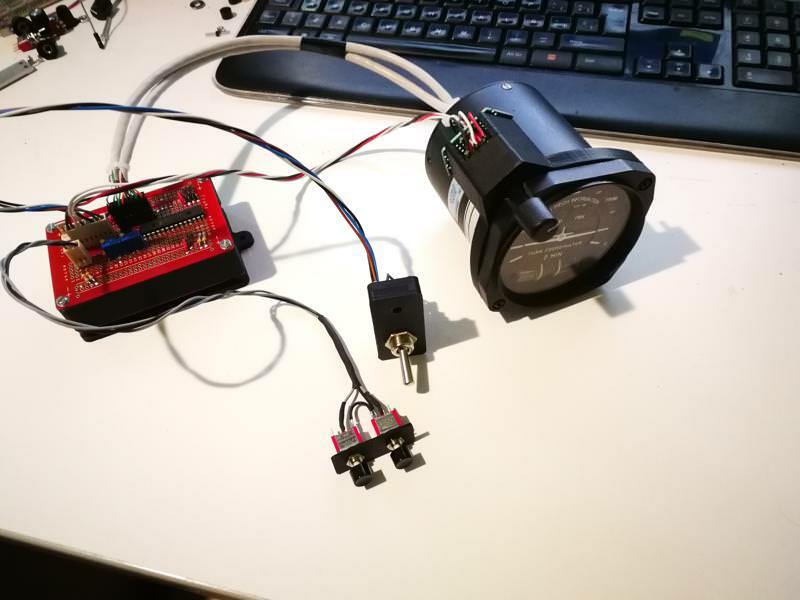 The turn rate and ball are galvanometers, which I already interfaced with prepar3d. It is not perfect, but I am quite happy with the result. I should try to find a better knob..
My whole cockpit is being made with real gauges with some mods. Back in May I started converting the garage to be the new Sim hangar. Eight looong months later, the "Beech House", and the Beech 1900D sim are ready for their maiden flight. She's already been on a few test flights, still with a few control systems inop. Come this weekend, everything will FiNaLlY be fully operational. After this, I'll be doing some work for a new Twitch stream. Destroyed animals have been protected from the making of that video. ...that 737 flight was... interesting. I pulled the fuel lever for #2... and things went south from there. I have a feeling that failures aren't modeled correctly in that particular flight model in James' sim. We lost absolutely everything on the right side of the aircraft and none of the cross-feeds worked. However, we did have slats, but only on the left wing. That was a wild ride. The maiden flight was a success. A few technical glitches, but overall everyone made it to their destination alive and in one piece! The glitch was the OBS indicator was stuck on "Centered" making it impossible to fly towards a VOR. Had to reload the AC for some reason and everything worked out. "One does not simply 'move' a flight simulator"! I have made a piece to add buttons to my actual yoke. It only had elevator trim push buttons. Now It has autopilot (alt hold and ap disconnect buttons), and push to talk. That's a very professional looking job! Page created in 0.68 seconds with 26 queries.